The young at heart flock to Las Vegas for that wild three-day weekend vacation. Whereupon they return home and need three more days to recover. In a city where women in bathing suits walk around offering free cocktails, the fun can end around the corner, and it often does. Las Vegas has one of the highest Driving Under the Influence (DUI) / Driving While Intoxicated (DWI) arrest rates per capital. Those who are more responsible choose the higher ground, flagging down public transportation such as, Taxis, Limousines, Executive cars, in house transportation and buses. However, it doesn't protect an individual from aggressive, careless, and negligent taxi and limo drivers who can not wait to get a passenger from point A to point B, receive tip money and pick up the next group of passengers. Granted, taxi and limousine drivers are governed by Transportation Safety Administration (TSA). However, their driving patterns are often below the standard of care. While opting for such transportation is prudent, it does not insulate a person from other drunk drivers. Hundreds of people are injured each year in Las Vegas while traveling as a passenger in taxis, limousines, etc. While it may be a rare occasion the limousine, bus or taxi driver is under the influence, often times the tortfeaser (at fault party) is driving while intoxicated. While Nevada has implemented stiff enhancement statutes to curtail a drunken individual from driving (See: Chapter 484, NRS 484.379), people make bad decisions after drinking alcohol. If you have been injured while riding as a passenger by a negligent taxicab or limo driver there are specific statutory insurance mandates (See: Chapter 706, NRS 706.305) for which the courier must carry for coverage. Benson & Bingham has helped hundreds of instate and out of state victims recover. 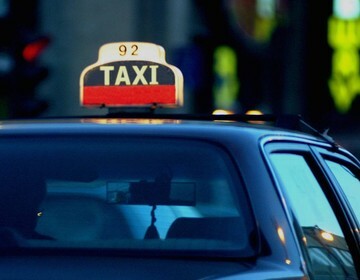 If you have been injured while on vacation by a taxi, limousine or bus contact Benson & Bingham to protect your rights. Taxi Accidents are a Common Occurrence in Las Vegas, including the Strip.